You can get tons of women's free perfume samples by mail and in-store, as well as men's cologne samples by mail and in-store with the list of online sites below. Some of the sites below will have you become a member of their site and/or sign up for their newsletter. Once you've signed up, they will send you newsletters, and in those newsletters, they will inform you when free products are available. When you receive notice, you need to respond immediately, because the free samples usually go quickly. There are many freebies available here on Discount Fanatics, so be certain to check out the left tab, under Freebies. Simply complete the form to request your free perfume sample by mail. Select your sample, then complete the form. These companies offer Free Makeup, Cosmetic, Perfume and Skincare Samples with conditions. Meaning that they will give you Free Samples with an online purchase or you'll pay the shipping for the free gift. Ulta (free gift, but you'll pay the shipping - in this case the shipping is @$5.95, so you might as well add the free gift to your cart if you intend to place an actual order). You can also create an account and request a free catalog. Their catalogs have free perfume samples. I list many freebies and free-after-coupon deals each day, so you should check the blog at least once per day! Become a member of Aveda.com and you'll receive an exclusive offer on your birthday every year. Aveda carries makeup, hair care, skin care, perfume and more. Sign up and once every quarter you'll be able to request free samples and coupons. They send you some great samples! This is one of the most reliable Free Sample programs around! You can always trust that you will receive their samples. Check their site frequently, as it is popular and the samples go fairly soon, or simply follow my freebies blog and I'll let you know when the free samples become available. They always have a variety of free samples including free makeup samples and more! Their free samples go quickly, so I'd advise you check their page daily, or simply follow my freebies blog. Target's free samples also vary widely and could include free skincare samples, free makeup samples, free perfume samples, free shampoo or conditioner and more! Join Vocalpoint and they will periodically send you emails notifying you of Free Samples available. Important: Respond right away requesting those samples, because they go quickly, and they give away some great samples. They will ask you to complete surveys regarding the samples you receive, but it's your choice whether or not to complete them. It's not mandatory. Sam's club periodically offers free samples to their members on their website. You can check this page periodically, or you can follow my freebies blog. I'll let you know when their offering free samples. Click the Costco link above, and in the search box, type in "free sample." The most recent free sample offers will pop up. Click into each one and see which free samples are available. Costco periodically offers its members free samples. You can check their page periodically, or you can follow my freebies blog and I'll notify you when the freebies by mail become available. A 12-digit Costco member number is required. Allure offers full-sized samples during a certain week of each month as giveaways. But you have to be fast to get these; they’re usually for the first 500 that complete the form online at a certain time. But like I mentioned, these are full-sized perfume samples, beauty samples, hair care samples, skincare samples, makeup samples and more! Join this program and if selected, you’ll have the chance to try out new products. All they want you to do is to tell your friends/family about the products, then let them know what you thought about the product(s). Follow the brands that you wear and like on Facebook and Twitter and be on the lookout for announcements of product giveaways. Cosmetic counters will often hold events where they will provide free perfume samples to shoppers. Simply ask if they have any free perfume samples. They even provide free beauty makeovers, then will provide you with a small bag of free samples. You can call the make-up counters in advance and inquire about such events. Also ask about clubs or Insider lists that you can join, such as Sephora's Beauty Insider. When you purchase from Sephora, they will periodically give insiders free samples to try new products! Many Companies will also give you a Free Product on your Birthday if you come in and pick it up. Tons of magazines place free perfume samples in-between the pages of the magazine. It's usually only enough for one use, but you still get to sample the fragrance. You can get discount coupons and/or coupons for free products simply by emailing the product manufacturer directly. I've done this many times myself. Email them with a compliment, product suggestion or even a complaint, and many times, they will send you product coupons. Email them specifically asking for product coupons and guess what, they'll send you coupons! 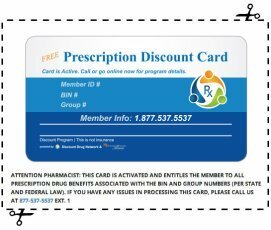 Tell them how much you or a family member love their product (tell them which specific product), then ask if they can mail you any free product coupons or discount coupons. Nine times out of ten, you'll get them!